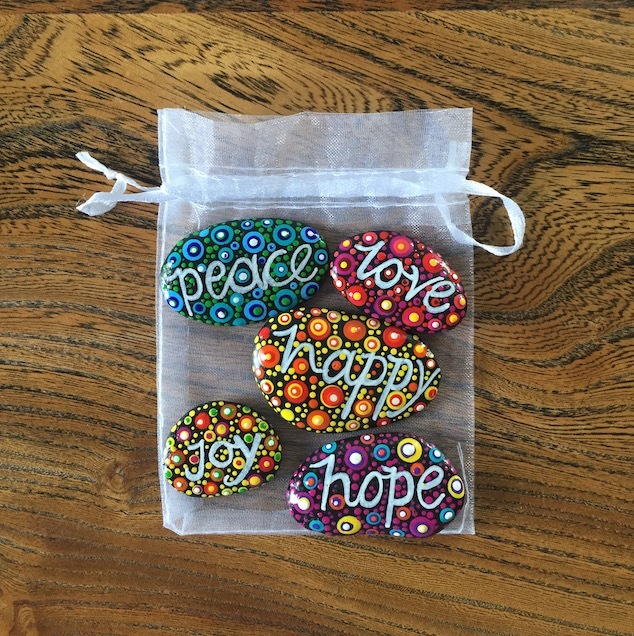 These happy rocks have been made with love just for you. 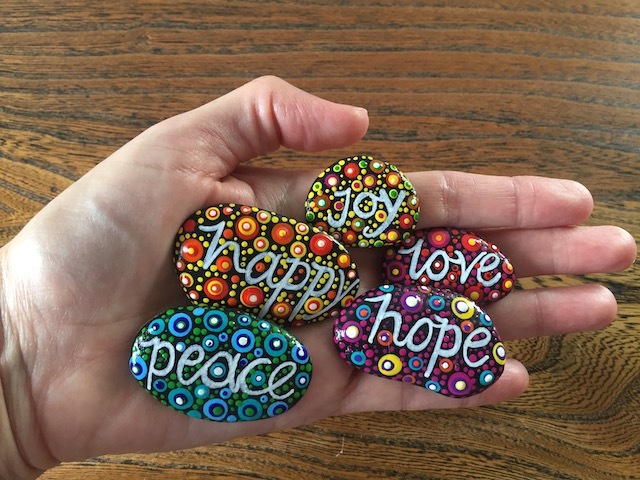 Whenever you are feeling sad hold a happy rock in your hand, close your eyes and feel happy rock magic flowing into your heart. Each rock has a little quote on the back of it. They are also a wonderful gift to give to someone you love.